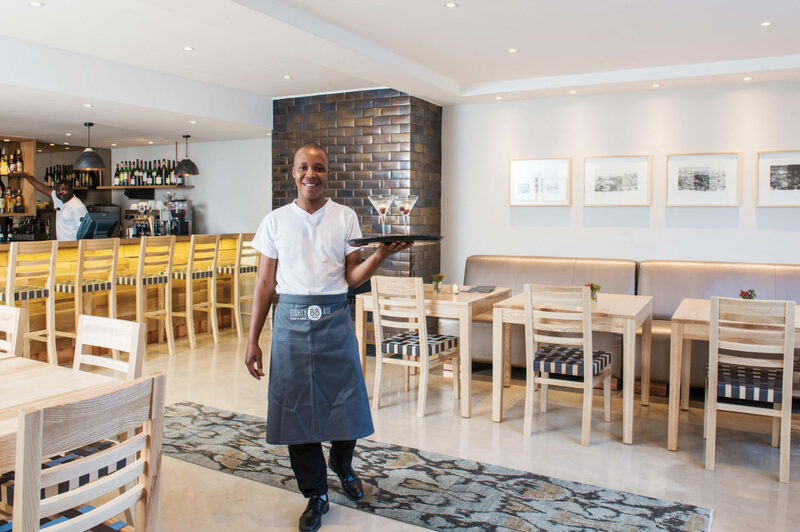 Cape Town Hollow’s restaurant, Eighty-Ate, offers a relaxed and modern dining experience in a setting overlooking the Company’s Gardens and out towards iconic Table Mountain. 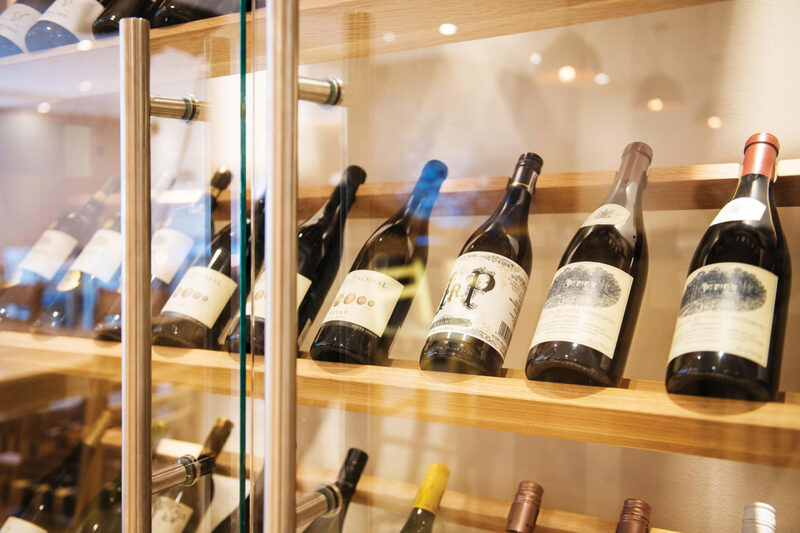 The restaurant takes its name from its own street address – 88 Queen Victoria Street in Gardens, Cape Town. The contemporary dining space at Eighty-Ate Restaurant is complemented by natural light that floods through the full length folding doors, highlighting the contemporary interiors and the fresh, uncluttered space. 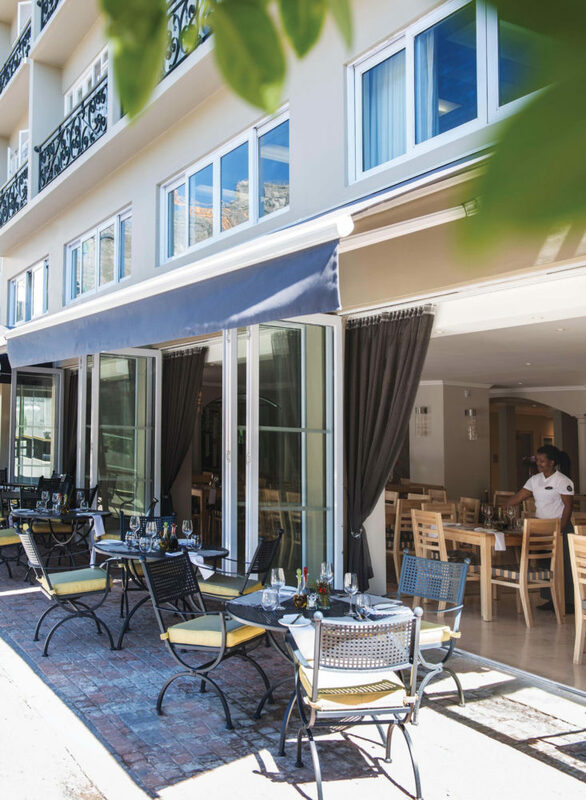 The restaurant opens out onto an outdoor patio, offering guests street café-style dining in the shadow of Table Mountain. 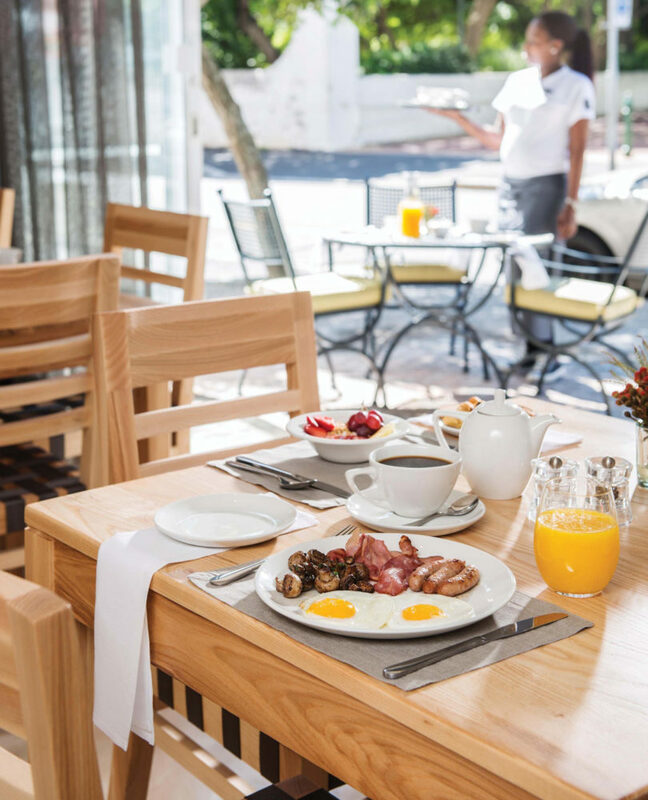 Breakfast is served from 07h00 to 10h00 every morning, buffet-style. An à la carte breakfast, lunch and dinner menu offers delectable items that are sure to keep you satiated during your stay with us. Guests can also order room service between 07h00 and 22h00 every day. Set menu options for group lunches and dinners as well as decadent picnic baskets are available on request from the chef. 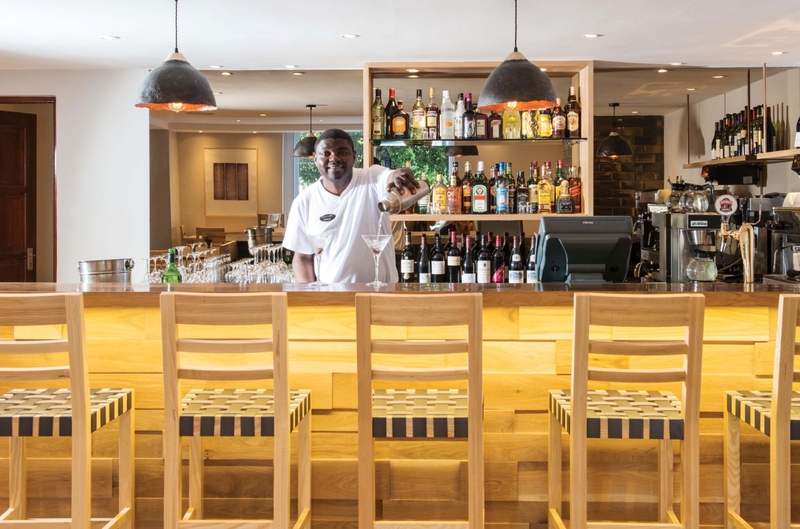 Alongside Eighty-Ate Restaurant, you will find the vibey bar at Cape Town Hollow – it offers the perfect setting to wind down with a cocktail after a day of exploring beautiful Cape Town. Spilling out onto the pavement with glorious Table Mountain views, this is a real oasis where guests can soak up the fresh air and enjoy cocktails on balmy summer nights, or retreat inside to the warmth of the fireside on chilly winter days. Eighty-Ate Restaurant and Bar is open to the public, with the patio being a favourite spot for locals and guests. 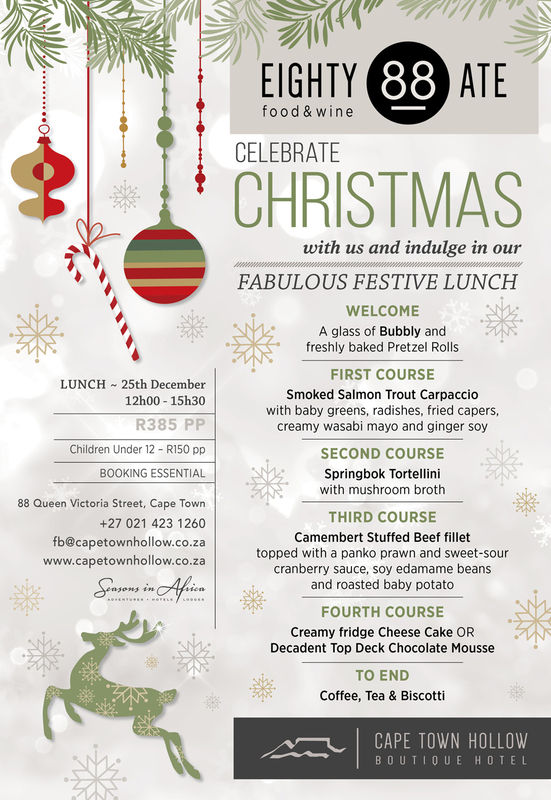 Please don’t hesitate to contact us for bookings at +27 (0)21 423 1260 or reservations@capetownhollow.co.za. 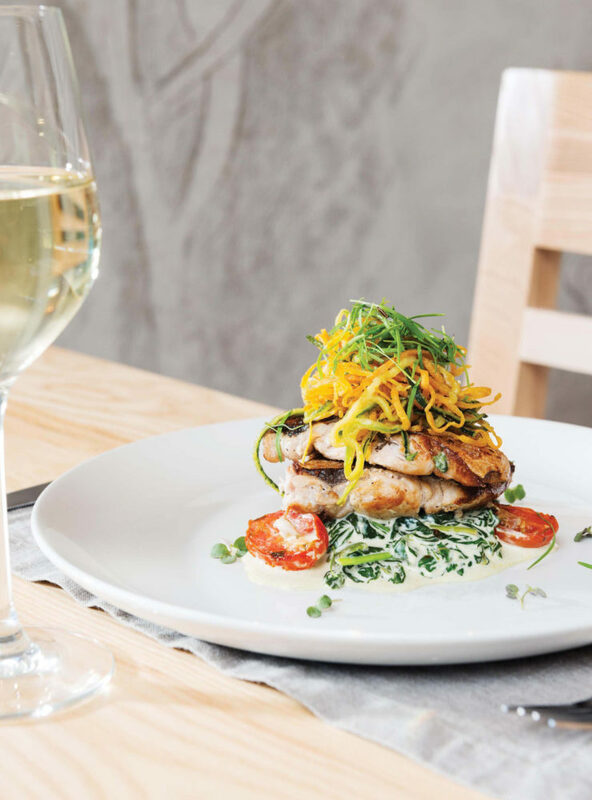 Book a Table at Eighty-Ate Restaurant Today! Join us for Christmas Lunch on 25 December for a 4 course set feast at Eighty-Ate Restaurant. We will also be doing our a la carte menu on Christmas Eve 24 December, but with a Christmas theme.